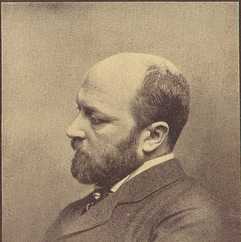 Henry James, OM was an American writer who spent most of his writing career in Britain. He is regarded as one of the key figures of 19th-century literary realism. He was the son of Henry James, Sr. and the brother of philosopher and psychologist William James and diarist Alice James. He is best known for a number of novels showing Americans encountering Europe and Europeans. His method of writing from a character's point of view allowed him to explore issues related to consciousness and perception, and his style in later works has been compared to impressionist painting. His imaginative use of point of view, interior monologue and unreliable narrators brought a new depth to narrative fiction. James contributed significantly to literary criticism, particularly in his insistence that writers be allowed the greatest possible freedom in presenting their view of the world. James claimed that a text must first and foremost be realistic and contain a representation of life that is recognisable to its readers. Good novels, to James, show life in action and are, most importantly, interesting.